So you’ve kitted yourself out with an exciting new tent, mattresses and sleeping bags. 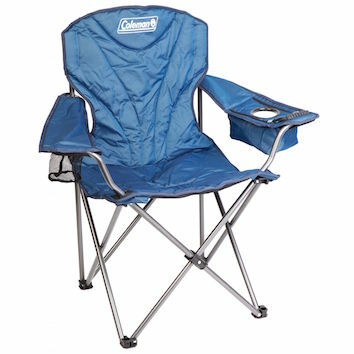 The next thing on your list should be some good quality camping chairs. Whether for relaxing and reading at the campsite or sitting down to enjoy dinner and drinks in the evening, great camping chairs can be the unsung hero of an enjoyable camping trip. Finding the best option to suit your needs, however, can be more difficult than you would expect. Factors to consider include comfort, durability, size and weight. In this article, we look at what we consider to be the best camping chairs in Australia and weigh up the pros and cons of each. Our pick for the best chair is the OzTent King Goanna Chair. 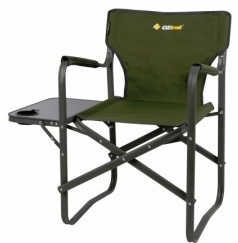 The Oztent Goanna range is the stalwart of camping chairs in Australia, and the chairs all others try to imitate. What began with the original Goanna chair has developed into the premium King Goanna - representing the perfect balance of comfort and durability and one of the most popular fold-up chairs in Australia. The King Goanna features a padded head rest, insulated drink holders, soft arm rests, and adjustable lumbar support. The frame is made from heavy-duty steel and the material is 600D fully padded polyester. At only 5kg this chair is lightweight but remains extremely sturdy and durable. It is weight rated to 150kg. New and improved insulated drink holders are a clever feature with hot Australian summers in mind and a handy zippered carry bag assists with transport. To top it off, the King Goanna comes with a 5 year manufacturers warranty. If you are looking for great value chairs that will last you many summers, it’s hard to look past the Oztent King Goanna. A large, sturdy camping chair, the Rhino provides some fierce competition to the Oztent Goanna. Construction is solid, materials are high quality, and accessories include drink holders, insulated cooler box, and accessory pockets. At 7.3kg this chair feels more sturdy than the Goanna and with that is likely to come a longer life and improved durability. One point worth mentioning is that being a fairly large chair, it may not be comfortable for children. 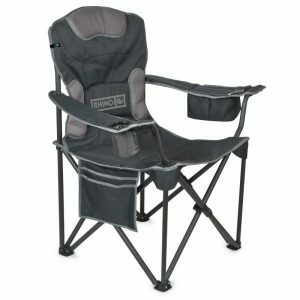 A generously sized great value camping chair, the King Size Cooler Arm Chair offers all the usual features with the clever addition of a four can cooler bag. At 4kg, it is lightweight and easily manageable, while the material is a durable 600D polyester. 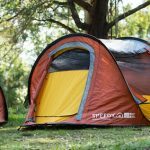 We don’t believe this will be as breathable as the Oztent range and you are probably taking a small step down in terms of durability but it nevertheless still offers great value for money. At the more affordable end of the scale, the Oztrail Classic Directors Chair presents a solid budget option for those not wanting to break the bank. The fold away side table is a clever and handy addition. This is your classic no frills camping chair that will still provide a perfectly acceptable level of comfort and last many holidays.